“So where are you based”, I ask my friendly Dutch neighbor, who looks like a banker heading back home, as we settle down in our seats on our flight to Nairobi. Early December 2013, at thirty five thousand feet above sea level, somewhere over the Red sea, chasing the last crumbs of my passion fruit tart, this is my first memory of thinking, hmm, they must be doing something right in Rwanda. Step forward three years and the focus changes to the city itself. I am no longer an idle spectator but a visitor. It is late evening. 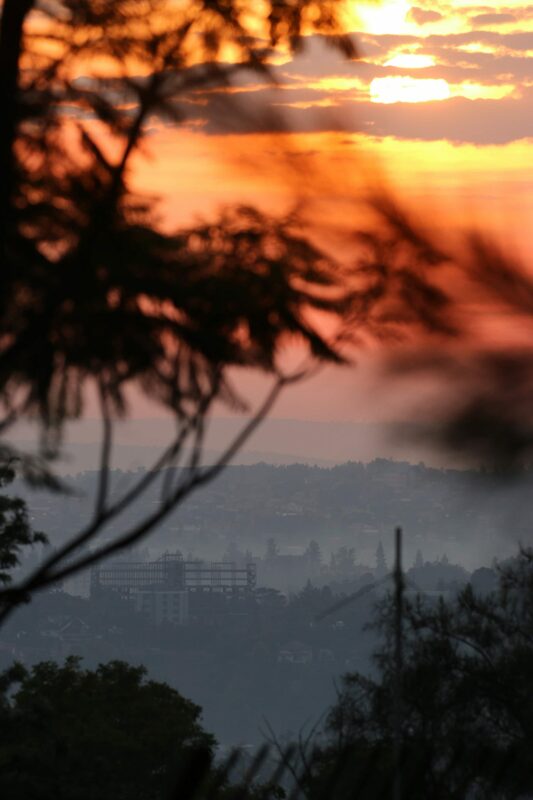 Six pm and the sun slowly settles behind the rolling hills of Kigali. 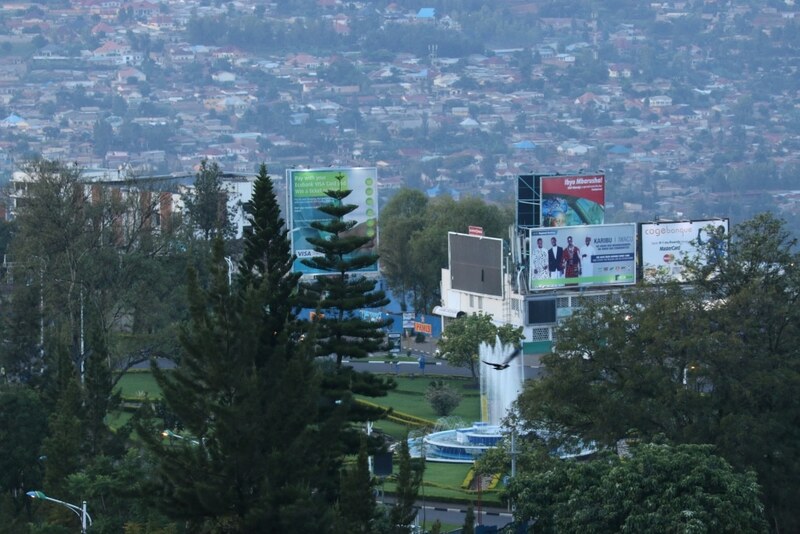 I am out for my evening walk and as I walk down the steep slope of my trek overlooking the misty vista of the town below, I understand why my Dutch friend based his African operations out of Rwanda. This city is different from all the ones I have been to in Africa. It is clean, green and home to a million souls. For one I have been shooting with my lens for two days at the hotel and I still haven’t had enough. 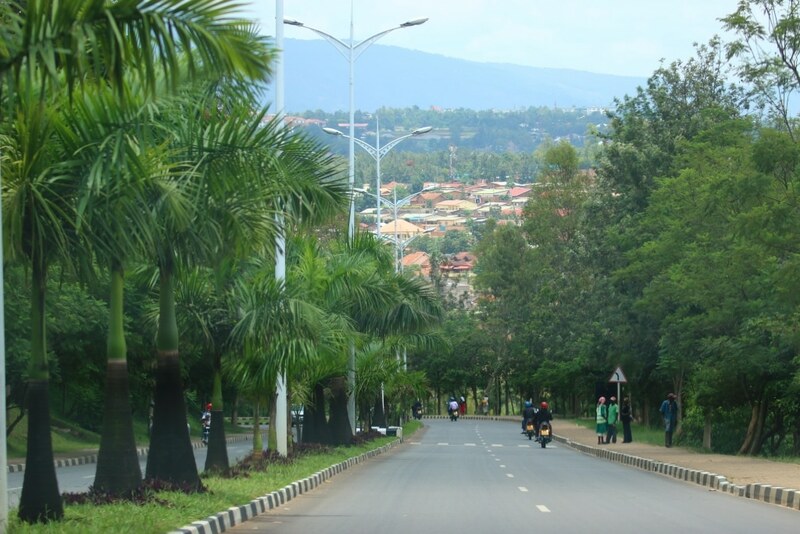 Given a choice between Nairobi, Dar us Salam, Kampala and Kigali, I can see why I would opt for the city that is laid out like a necklace of rusty rubies in an emerald set. It’s been raining all day and the air has a slight bite to it. Despite the downpour, the roads around me are clean and dry. Red brick walls and moss covered trees stand freshly washed. I look at the fallen leaves and flowers and think even the trash in this town only adds color. If I could only still a few million dollars and retire in this town, it would make an interesting book to read. The thought is reinforced the next afternoon as we run into two senior bankers in Nairobi making the Kigali run to meet the central bank of Rwanda the following day. 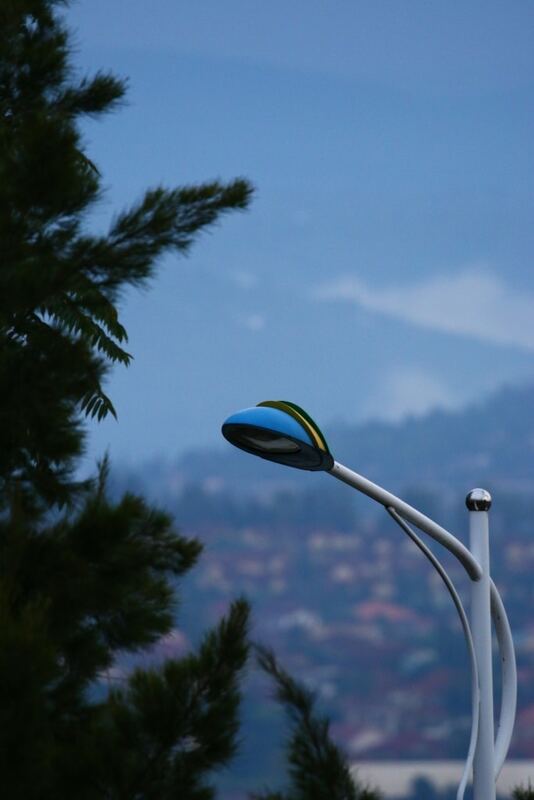 There is action happening in Kigali. You can either take Kenya Airways connection from Nairobi or the Rwanda Express connection from either Nairobi or Dubai. The Rwanda Express flies the Canadian Bombardier from Nairobi but you have to watch out to ensure that you get on the nonstop flight rather than the one that comes through Entebbe. 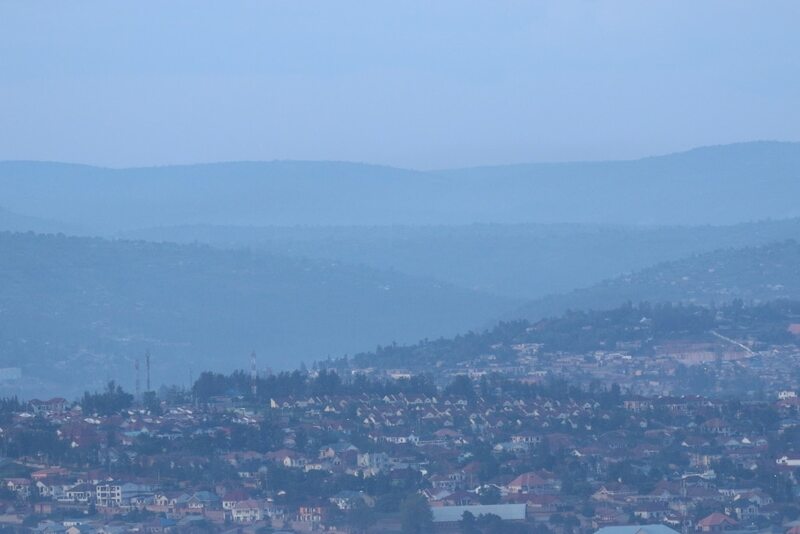 As your aircraft approaches Kigali you get your first views of the city. A low approach over multiple lakes followed by wave upon waves of rising lush green hills. The airport is clean and functional and quick. If you have applied for the East African Tourist visa, head to the counter on the left where after making your payment in USD, you can collect your baggage and step out in the sunlight. Your driver should be waiting for you outside with a sign in his hands. From the aircraft to your ride outside including baggage pick up takes six minutes flat. We were booked at the Kempinsky. Ask for the pool side view rather than the parking lot. The hotel is old but clean, functional and central. If you are missing desi food, there are two decent desi restaurants within walking distance – Fat Mama and Khana Khazana. The first one has simpler ambiance but much better food. Kempinsky other big benefit is the sixth floor restaurant called Panorama that offers breath taking views of the city. You are close the Central Bank and the Presidential Palace, so you will see fair bit of security as you step outside and explore the roads leading downhill. 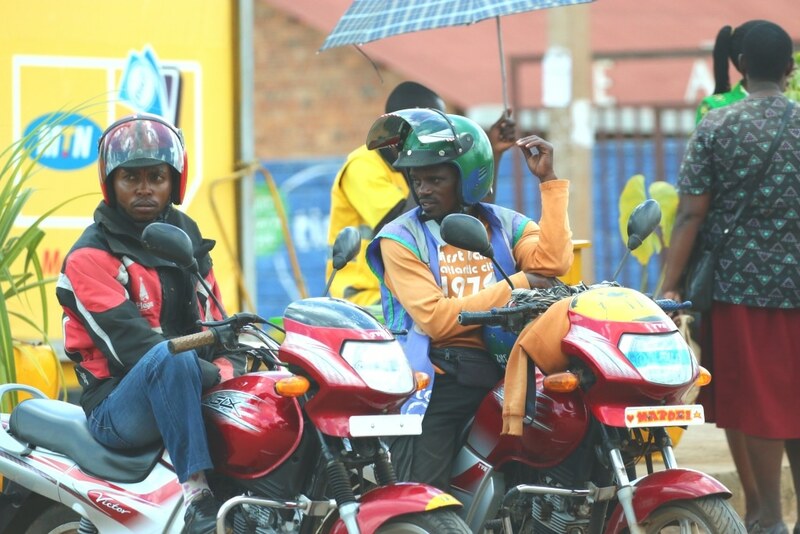 The Moto Taxi, the Kigali version of the Bangkok Tuk Tuk is the primary mode of transportation. If you are not hauling a big lens, or if its not raining, take it out for a spin. It rained two out of the three days we were there so come prepared for wet weather especially after March. While I worked during the day for two days, morning and evenings I just went wild with the lens. 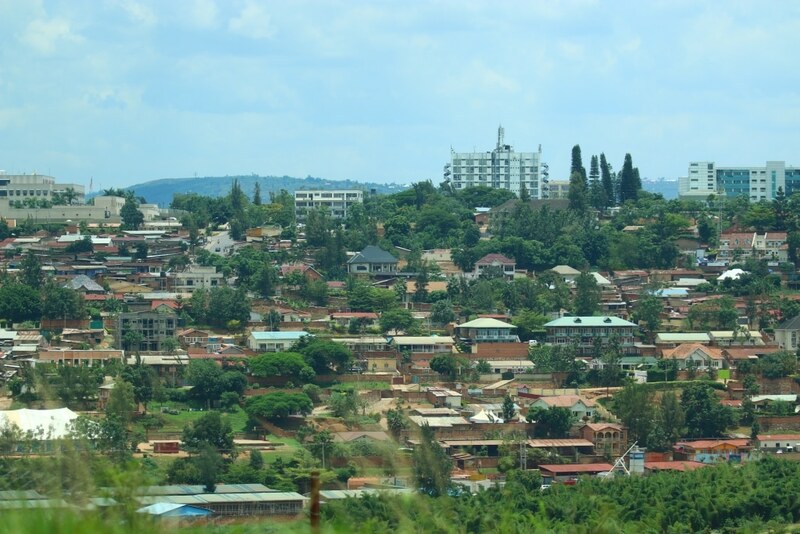 There wasn’t enough time to do a proper city tour, a trek or a safari but just the views around the hotel properties would keep you occupied for a full day. The economy is growing. Primary sectors remain agriculture and services with some industry and local manufacturing thrown in but it is tourism that brings in the hard currency dollars. The city has come a long way from its traumatic past and if you were not aware of the history you won’t be able to point out that there is baggage here. The only indicator of the weary past is the infrastructure – which is brand new and points towards a recent surge in development. But the future looks bright and the direction appears to be right.